On Tuesday, February 21, 2017, Southern Utah University’s Department of Music will present an Adjunct Faculty Recital titled Abendmusik. In German, abendmusik means “evening music”. This inaugural concert will be held in the Thorley Recital Hall at 7:30 p.m. Admission is free and open to the public. Dr. Lawrence Johnson, Associate Professor of Music and organizer of this concert, said, “The event will prove to be an enjoyable evening of music performed by many of SUU's talented adjunct faculty, including Jackie Riddle Jackson - soprano, Shannon Birch - soprano, Mary Anne Andersen - piano, LeGrand Andersen - piano, Roland Stearns - guitar, Adrienne Read - flute, Michelle Lambert - trombone, and Kara Barney - soprano. Be sure to reserve the date for this special premiere!" 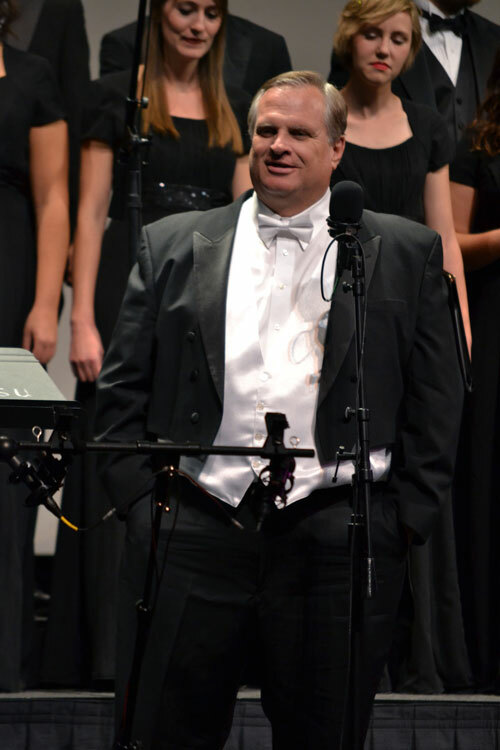 This evening of music will involve other performers including faculty members from SUU’s Department of Music. Dr. Lawrence Johnson - tenor, and Dr. Steven Meredith - bass-baritone will assist in a set of vocal quartets, duets, and solos accompanied by piano duet, and a guest artist, Tracy Carr - oboe, to assist in a duet with oboe and guitar. Join the Department of Music for their inaugural Abendmusik: An Adjunct Faculty Recital. It will truly be an evening of music that you won’t want to miss. For more information, please visit www.suu.edu/pva/music.